The Complete Combatant's 2nd Annual Women's Meet & Mingle AKA "The Mingle" is scheduled for May 19th, 2018 at Mari's Cucina and Social House in Johns Creek, GA from 12:00-4:00pm (arrive 11:45am). DO NOT BE LATE because we have a SPECIAL guest speaker starting at noon! REGISTRATION FOR THE MINGLE 2018 IS CLOSED! If you would like to get an official invite to "The Mingle" then please scroll down and fill out the "Add me to your INVITE LIST". Please make note that we will CUT OFF confirmations when have reached 70-75 ladies! After that, I can add you to our "waiting list" and notified IF SOMEONE CANCELS. 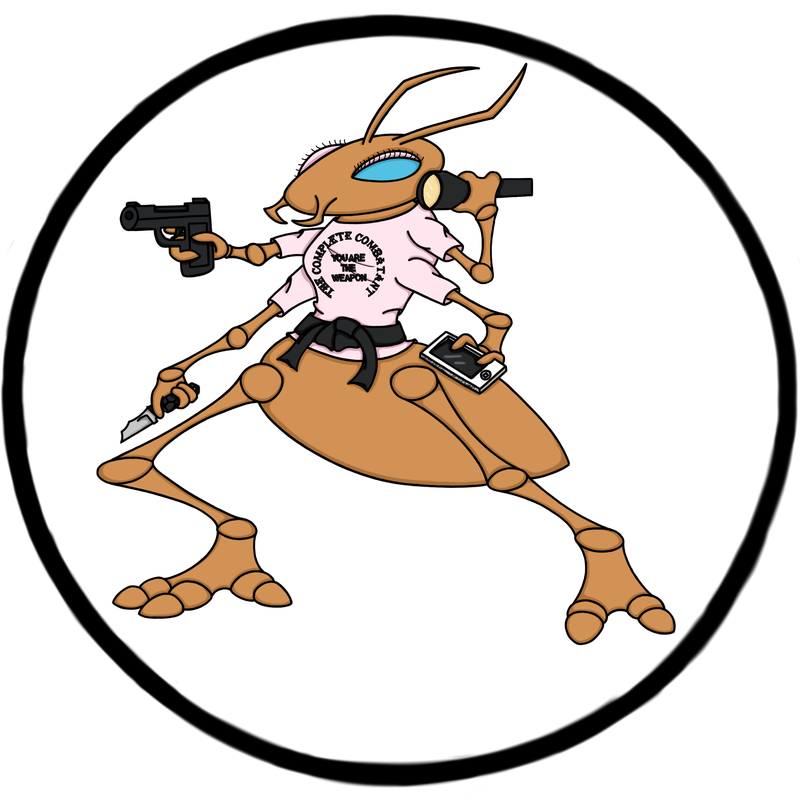 "The Mingles" May 19th, 2018 featured guest speaker is Claude Werner aka The Tactical Professor. Beth Alcazar at the event! Beth Reoch Alcazar of past GunBlog VarietyCast Radio, Pacifiers & Peacemakers, and USCCA will be at our 2nd Annual Women's Meet & Mingle....AGAIN! Beth is donating a couple of her WOMAN'S HANDGUN & SELF DEFENSE FUNDAMENTALS books to our raffle AND will be saying a couple words about her NEW book! Meet Liz Lazarus at the event! Liz is the author of Free of Malice and the soon to be release Plea for Justice! Liz has donated books for our Women's Meet and Mingle DOOR PRIZES and will also say a few words about the books at the event. She a very generous lady and we are very proud to have her as a guest for the 2nd year in a row! WHAT TO EXPECT: "The Mingle" is an INVITE ONLY VIP event for women in the firearms industry. This is a 4 hour sponsored Women's Meet & Mingle with a guest speaker, SWAG BAGS and door prizes! You can look forward to great food, wine (nonalcoholic beverage options) and FUN event locations. Our guest are all very special patriots that will influence, support, and fight for self defense rights SO PLEASE COME AND SUPPORT EACH OTHER! We want this window in your day to be a HIGHLIGHT of your year! This is YOUR time to ask questions of your peers, meet new people, learn new things and have FUN networking. You are 100% in control of your contacts and relationships. RSVP's are a MUST! Oh, this is a FREE event to our invited guests! THANK YOU SPONSORS! 1:15-4:00pm: Wine, food, raffles and NETWORKING! Please make note that we have 2 fantastic authors, Liz Lazarus (FREE OF MALICE) and Beth Reoch Alcazar (WOMEN'S HANDGUN AND SELF DEFENSE FUNDAMENTALS) not only attending the event but they will also be saying a few words. Oh, AND they are each donating 2 books for our RAFFLE! WINNING! Scroll down to the bottom of the page and fill out the "INVITE ME" section. Once approved, you will be placed on my official invite list. You will receive an official invite via email that requires a RSVP by May 1st, 2018. This is a "first come first serve" so please RSVP as soon as you can. We WILL have a waiting list so please make note that last minute NON-EMERGENCY cancellations will be frowned upon and any NO SHOWS will not be invited back. 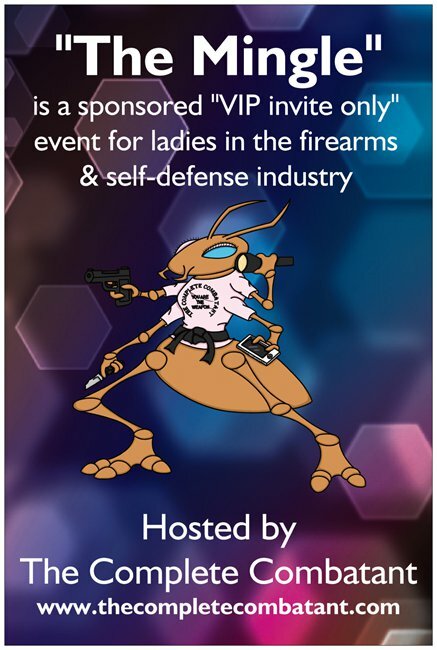 WHO IS INVITED: We will be inviting females (local or otherwise) that work in the firearms industry, biz owners (managers and team members), club presidents and board members, professional shooters, tactical and shooting instructors, ladies of influence in all aspects of the self defense/martial arts, and in the biz professionals that are 2nd Amendment political supporters. All past event guests will receive and invite to future events! FEATURED CHARITY: Racheal's Rest - Shelley Hill is the Executive Director and Secretary, and Brian Hill is a Board Member at Racheal's Rest. Racheal's Rest is a nonprofit organization that offers private counseling and five-day restorative retreat programs designed to address the physical, emotional and spiritual needs of survivors. They exist to help women and children who experienced sexual abuse or acts of violence regain their balance in life. We will hold a RAFFLE and split the proceeds (50/50) with Racheal's Rest! "The Mingle" HASHTAG Photo Contest: TAKE PHOTOS on the way TO the event, DURING the event and on the way HOME from the event and upload them to social media using #TheMingle2018 by Saturday, May 19th, 2018 8pm. We will pick our favorite #photo on Sunday, May 20th, 2018 and contact the WINNER via email and social media. We will mail the WINNER an AWESOME "MAKE UP BAG" Pistol Carrier made right here in the USA by Cyndee's Conceal Carry! THANK YOU Cyndee! SPONSORSHIPS can be sent via check (made out to Fusion MMA) by phone via credit card at 678-290-0282 or via PayPal.me. Please write Women's Meet & Mingle May 2018 in the note/memo section of your check or PayPal.me.